Washington D.C. chef and restaurateur Mike Isabella’s legal woes escalated on Tuesday with new claims that his company used nondisclosure agreements, or NDAs, to prevent employees from speaking out about sexual harassment, according to The Washington Post. The new allegations stem from the earlier complaint by former employee Chloe Caras, who initially filed a lawsuit in Superior Court last month charging Isabella and his partners at Mike Isabella Concepts, or MIC, with sexual harassment. That case was removed from Superior Court and refiled Tuesday in federal court, including new accusations that Isabella had retaliated against employees for reporting sexual harassment and used NDAs to prevent them from speaking publicly. The NDAs subject employees to a penalty of $500,000 plus attorney fees for breach of “confidential information” about Isabella, his family, friends or business associates during the employee’s lifetime. Isabella said the NDAs were established about six years ago to prevent news about restaurant openings from leaking to the press before they were ready to announce it. The NDAs were never used to intimidate employees, he added, and the company had policies to encourage employees to report incidents that made them uncomfortable, according to the report. Isabella, meanwhile, has mounted a vigorous defense, saying Caras was also guilty of inappropriate behavior, the report said. The company recently sent out a letter saying women are the “backbone” of the company and have built a culture of open communication and equality in a productive, friendly work environment. It was signed by 10 female employees, several of whom also defended the company in interviews with Restaurant Hospitality. 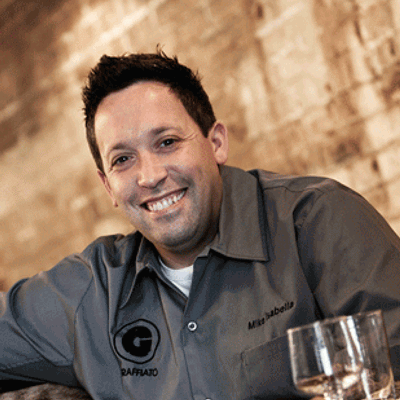 The federal complaint also included new allegations that Graffiato former chef Matt Robinett harassed female employees and patrons with impunity until his termination around October 2017. Company officials knew of the problem for some time but kept the chef on the job, according to the lawsuit. One employee was fired after making a formal complaint about Robinett’s behavior. Meanwhile, following the ongoing reports about the case, the Washington Nationals have reportedly removed three of Isabella’s embedded dining outlets from Nationals Park stadium.